Resolute Mining has reported the results of an updated prefeasibility study (PFS) for underground mine development below its current open-pit Syama gold mine in southern Mali. The updated PFS assumes development of a large-scale sublevel caving operation and confirms that an early move to underground mining in 2016 will produce robust economic returns. Resolute successfully uses a similar underground mining method at its Mount Wright gold mine in Queensland, Australia. 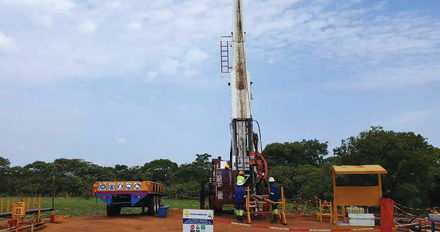 The updated PFS also delivers a significant increase in Syama’s underground ore reserves, incorporating high-grade results from diamond drilling conducted during 2014. The underground reserves now stand at 25.5 million mt grading 2.8 g/mt for 2.3 million oz of contained gold. The mineralization remains robust and open, and Resolute plans to conduct additional diamond drilling to extend and upgrade the deposit at depth. Pre-production capital cost to develop the underground mine at Syama is estimated at $74.1 million. 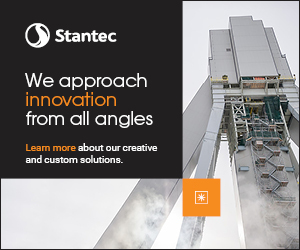 Production costs, including operating costs and sustaining capital, are estimated at $845/oz. Payback from start of development is estimated at 3.8 years. 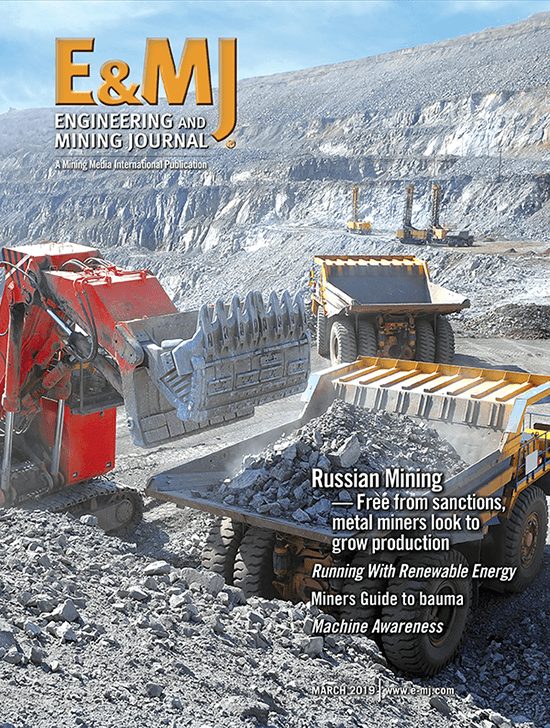 Snowden Mining Industry Consultants completed the updated Syama PFS. Geotechnical analysis and investigation of various underground mining methods allowed the consultants to determine that the orebody footprint was sufficiently large for a caving operation to be developed. The Syama underground production rate will be about 2 million mt/y, approximately matching its current open-pit production rate at an acceptable cost. The subsidence zone will not impact critical infrastructure. Resolute expects to begin decline development to access underground ore from a portal in the Syama open pit in early 2016. The company has initiated project work required for a definitive feasibility study (DFS) to facilitate an early decision to commence underground mining. The DFS is scheduled for completion in the first quarter of 2016.